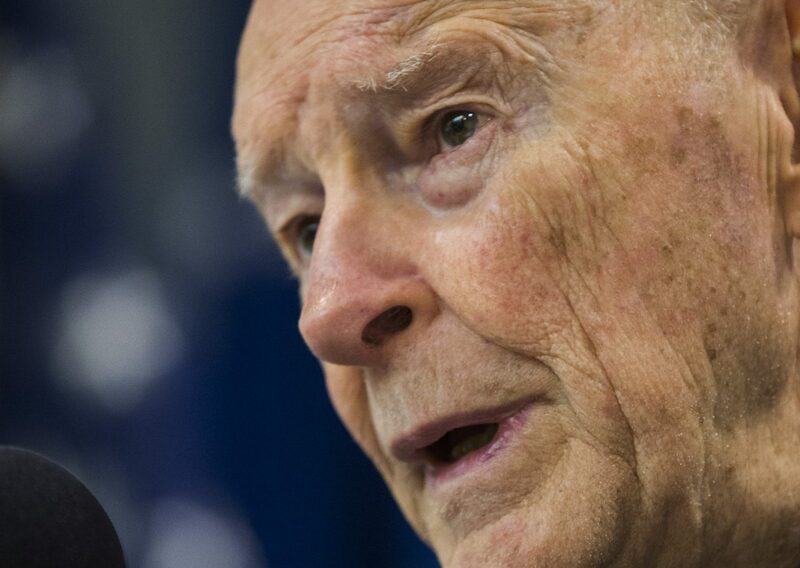 WASHINGTON (CNS) — Noting the untimely death of previous declarations of Muslim comity with other faiths, Cardinal Theodore E. McCarrick, Washington’s retired archbishop, urged that the Marrakesh Declaration, drafted in January to have the same effect, not remain ignored. Cardinal McCarrick, during a May 10 “Newsmaker” assembly at the National Press Club in Washington, referred to the Medina Charter issued by the Prophet Muhammad, the founder of Islam, which allowed Muslims and non-Muslim “tribes,” including Jews, to live in Medina in peace and to come together for common defense. Cardinal McCarrick recalled a fatwa — a learned interpretation a qualified jurist or mufti can give on issues pertaining to Islamic law — issued 10 years ago by the Islamic Society of North America. He said it preached interreligious harmony and received great attention by assembled notables and reporters, but then it dropped out of sight. The same was true, he added, for a similar declaration issued at around the same time by the king of Jordan — ignored after an initial outburst of praise. “That was before Daesh,” one of the names used to refer to Islamic State, Cardinal McCarrick said. The situation is more urgent than before, when, according to the cardinal, few believed Muslim militants would slaughter not only non-Muslims but Muslims who held different opinions. The Marrakesh Declaration, formulated during a three-day conference in the Moroccan capital by 300 Muslim scholars, has its origins in the Medina Charter. “Conditions in various parts of the Muslim world have deteriorated dangerously due to the use of violence and armed struggle as a tool for settling conflicts and imposing one’s point of view,” which has enabled criminal groups to issue edicts that “alarmingly distort” Islam’s “fundamental principles and goals,” the declaration said. “It is unconscionable to employ religion for the purpose of aggressing upon the rights of religious minorities in Muslim countries,” it added. Cardinal McCarrick was one of 50 non-Muslim religious leaders at the Marrakesh conference who shared concerns over violence in the name of religion, limitations of citizenship, restrictions on freedom of religion or belief, and xenophobia, especially Islamophobia by members of their religions. The group also reaffirmed values shared with Muslims, and asked forgiveness for past and current injuries for which their communities are complicit.